I love that I get to work with people such as Anna – talking about their incredible work really is a joy. 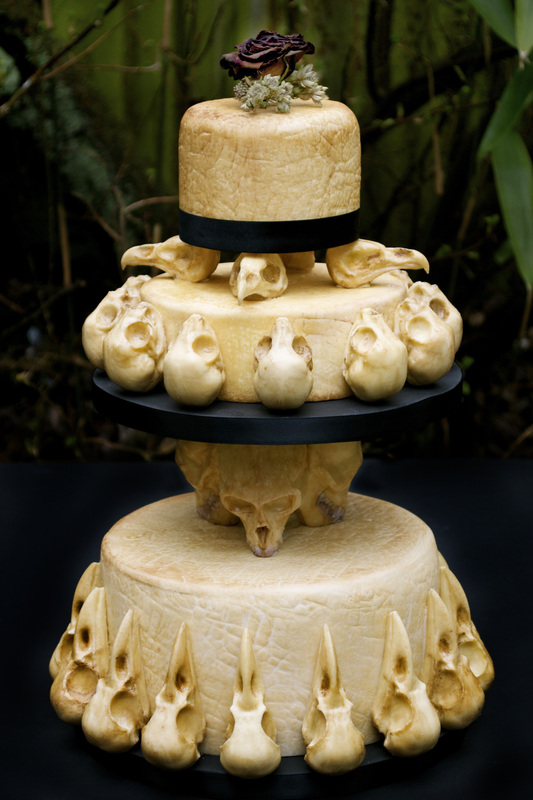 So anyway what follows is one of the most inventive wedding cakes I have ever seen – talk about love at first fright. Beautiful and classy but still different I think that without a shadow of doubt this will be the star of the show at an alternative wedding she is taking part this weekend. 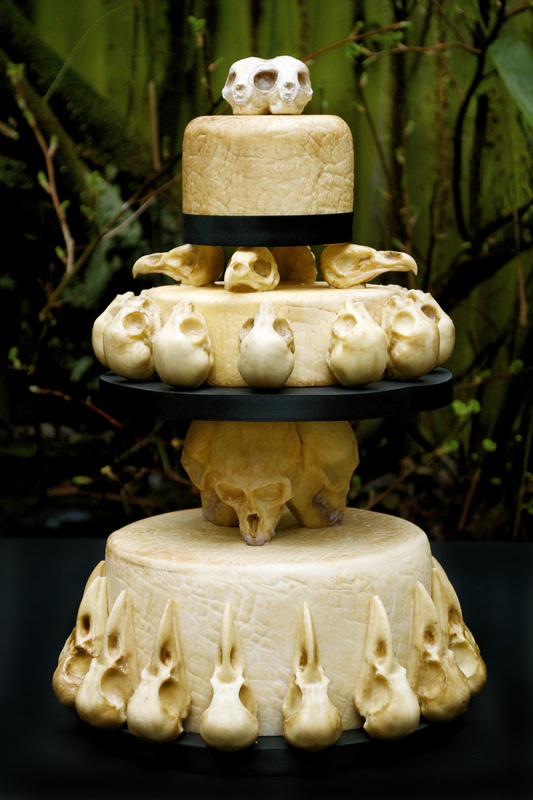 Food artist Annabel de Vetten, also known as Conjurer’s Kitchen, created this incredible skull wedding cake for the Eclectic Wedding Extravaganza in Birmingham this weekend. Her theme being ” ‘Til Death Do Us Part”. It features solid chocolate skulls of 16 carrion crows, 12 domestic kittens, 3 Vervet monkeys, and 4 barn owls, all of which the artist sculpted by hand. Made from White Chocolate Mudcake, the cake took her over 100 hours to complete in total. There are two options of toppers: a chocolate conjoined kitten skull, or dried flowers from an actual wedding bouquet (ones shown here from her own). You can find more out about her work at www.conjurerskitchen.com. Anna also created the giant Easter Island Head cake for the Tate & Lyle tasting house projectclosing today. This entry was posted by admin on March 21, 2013 at 8:22 am, and is filed under Anatomical, Art, Chocolate, Conjurers Kitchen. Follow any responses to this post through RSS 2.0. Responses are currently closed, but you can trackback from your own site.